1Discount 2Not available with special finance or lease offers. Take delivery by 04-30-2019. 3Must qualify through GM Financial. Not available with special finance, lease, or some other offers. Take delivery by 04-30-2019. See dealer for details. 4Excludes L models. Monthly payment is $13.89 for every $1,000 you finance. Example down payment: 3.4%. Must finance with GM Financial. Some customers may not qualify. Not available with lease and some other offers. Take new retail delivery by 4/30/2019. See dealer for details. 1Not available with special financing, lease and some other offers. See dealer for details. 2Not available with special financing, lease and some other offers. See dealer for details. 3Cash Allowance not available with Special APR 4Conquest Consumer Cash for Owners/Lessees of a 2005 or newer NON GM passenger car or light duty truck for a minimum of 30 days prior to purchase, who purchase an eligible model. See Dealer for Documentation requirements. PRIVATE OFFERS MAY NOT BE COMPATIBLE WITH OTHER PRIVATE OFFERS 5Must qualify through GM Financial. Not available with special finance, lease, or some other offers. Take delivery by 04-30-2019. See dealer for details. 6Excludes L models. Monthly payment is $13.89 for every $1,000 you finance. Example down payment: 3.4%. Must finance with GM Financial. Some customers may not qualify. Not available with lease and some other offers. Take new retail delivery by 4/30/2019. See dealer for details. The new Chevrolet Cruze, featured at our Frisco, TX dealership, makes it easy to zip around city streets or deal with long, winding roads. Lot of space, a quiet interior and a cutting-edge infotainment system are the highlights of this car. Side Blind Zone Alert, Onstar Emergency services, and OnStar Automatic Crash Response are some of the features that distinguish this car from others. 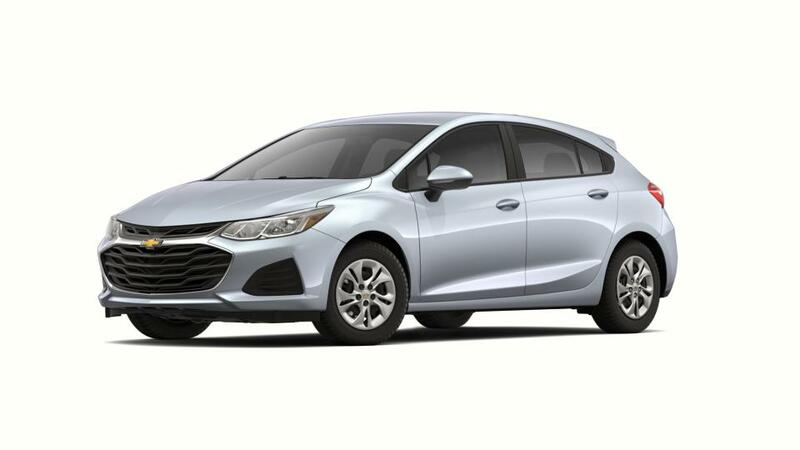 Drive the new Chevrolet Cruze across Frisco, TX and experience the difference. Plus, the available 4G LTE Wi-Fi keeps you connected throughout your drive. Visit our showroom to find a wide new Chevrolet Cruze inventory in Frisco, TX!